Like numerous other open street events I’ve attended, the first hour or so seemed a bit sparse in attendance, especially this being the first of its kind in Detroit. But sure enough, as more neighbors and travelers found their way to the route, the streets began to fill. 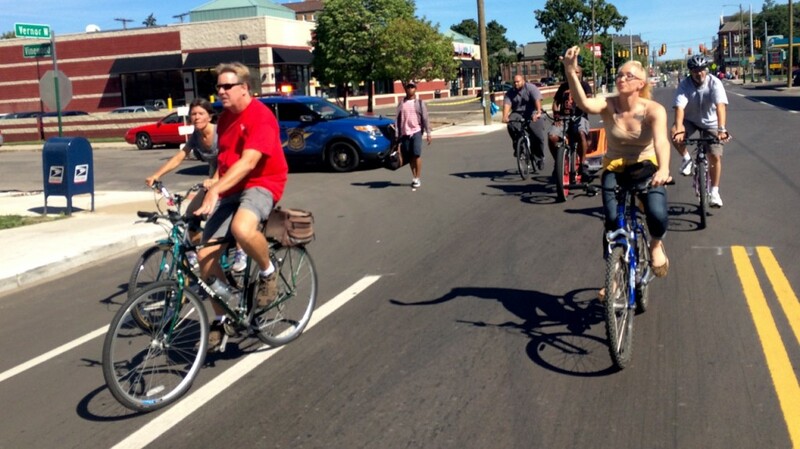 Not too much though, as there was almost never a moment when navigating by bike began precarious. 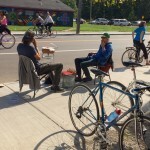 Compared to a few Sunday Parkways where over 30,000 choked the streets and made riding virtually impossible, Sunday was a pleasant middle ground. 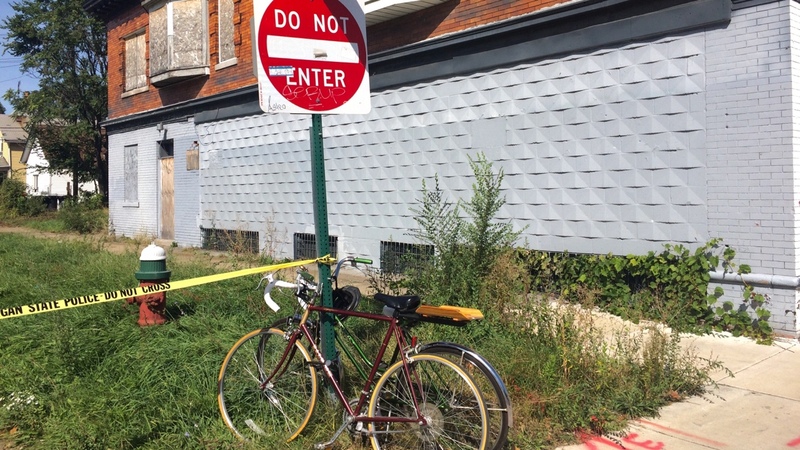 The route wasn’t without a few hinderances. 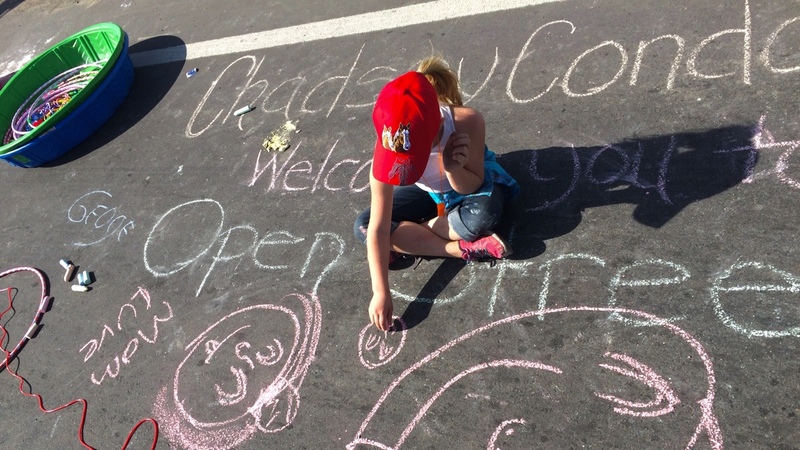 Where it crossed over a massive freeway interchange there was little signage directing people a block over to a pedestrian bridge. 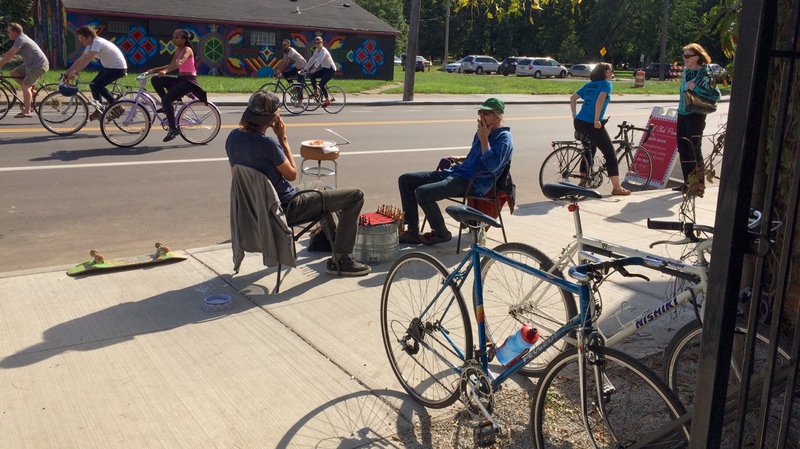 I found myself suddenly forced to share the road for several blocks with cars coming off two exit ramps, much to my dismay. 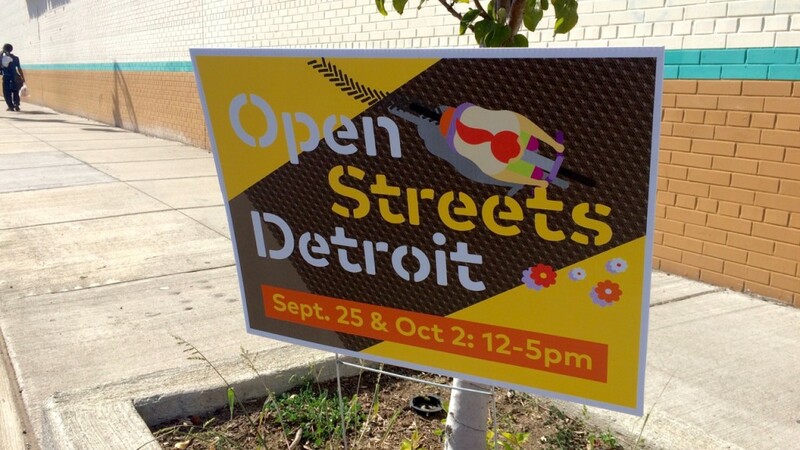 This being the debut, I’m sure organizers will improve directional signage in the future. 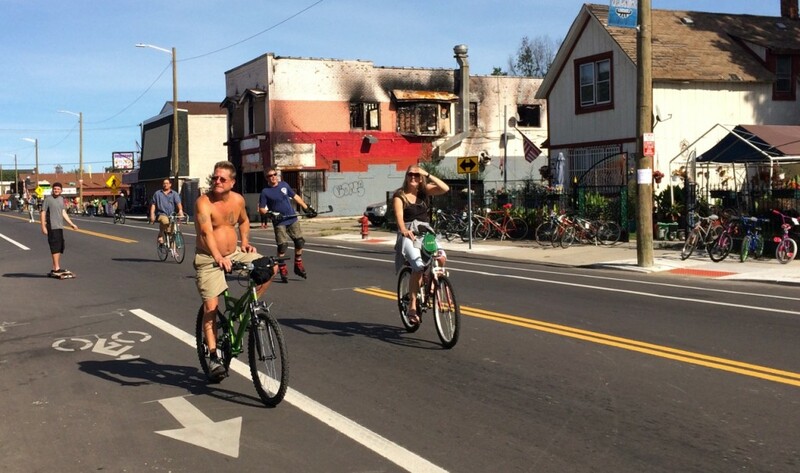 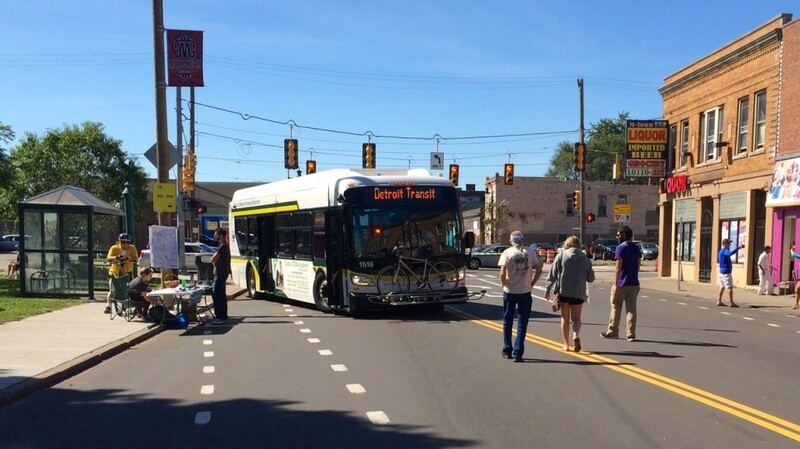 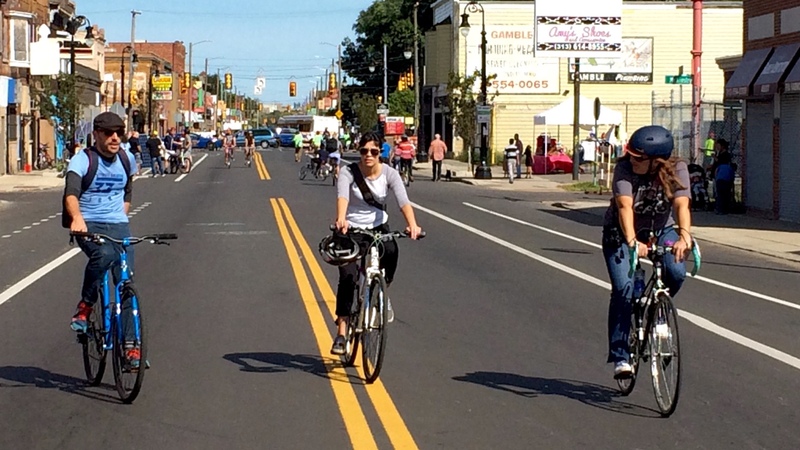 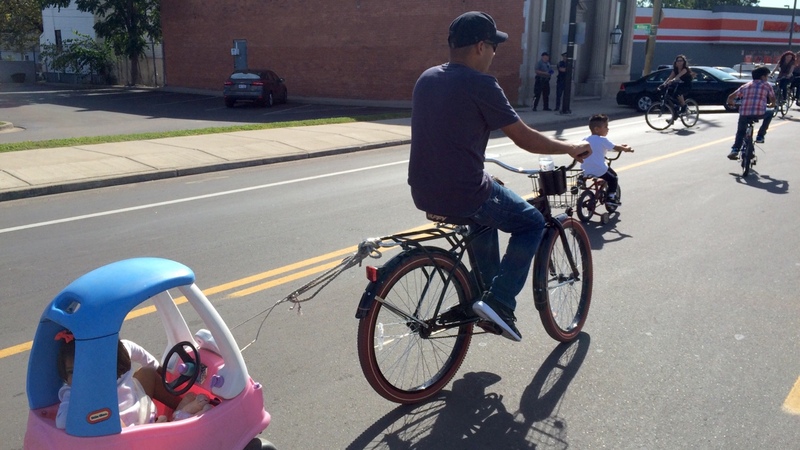 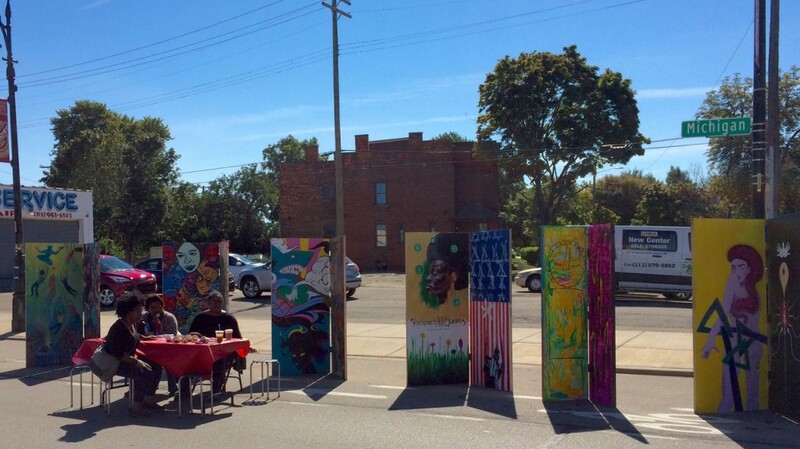 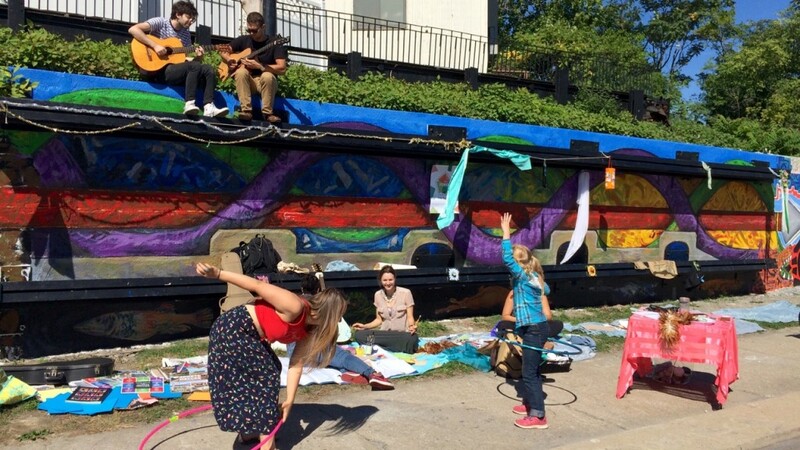 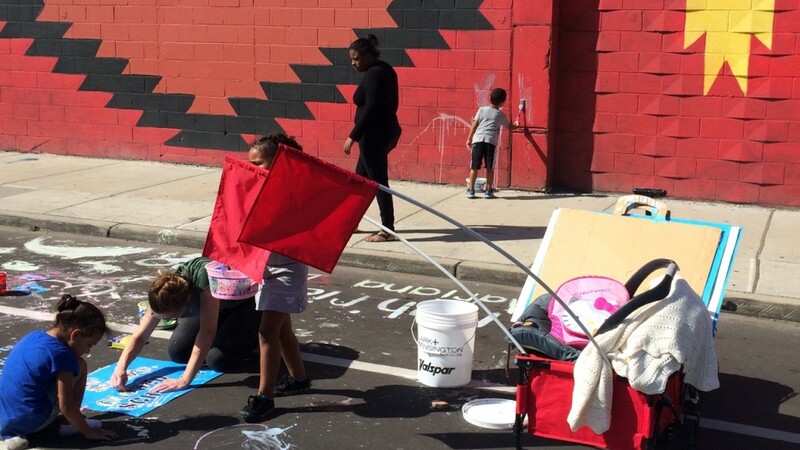 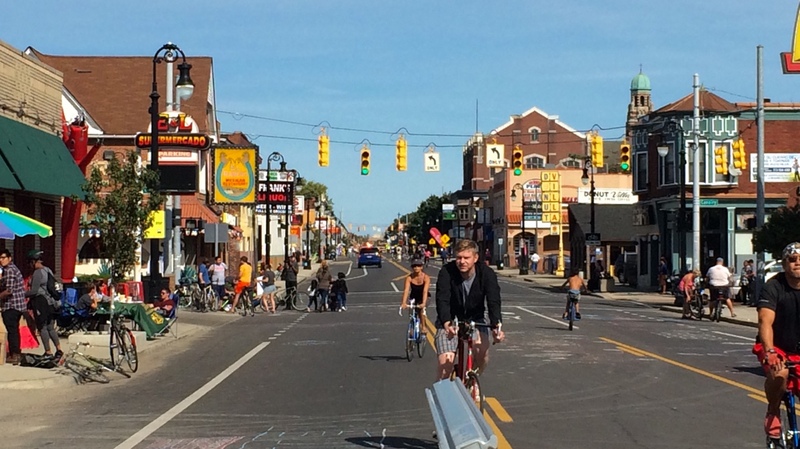 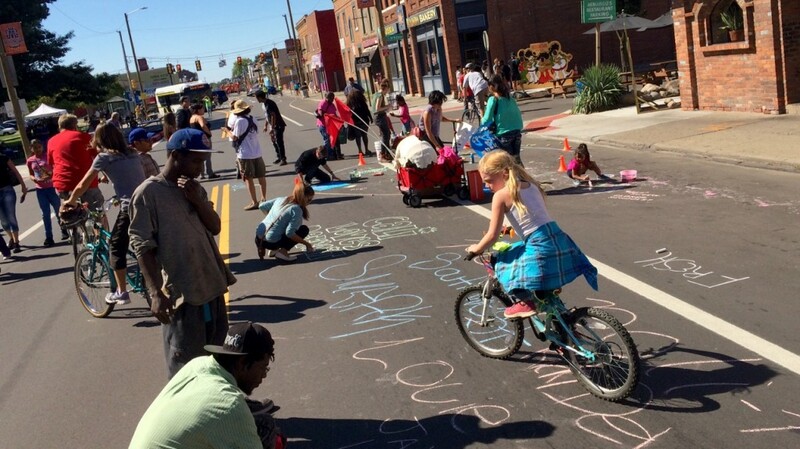 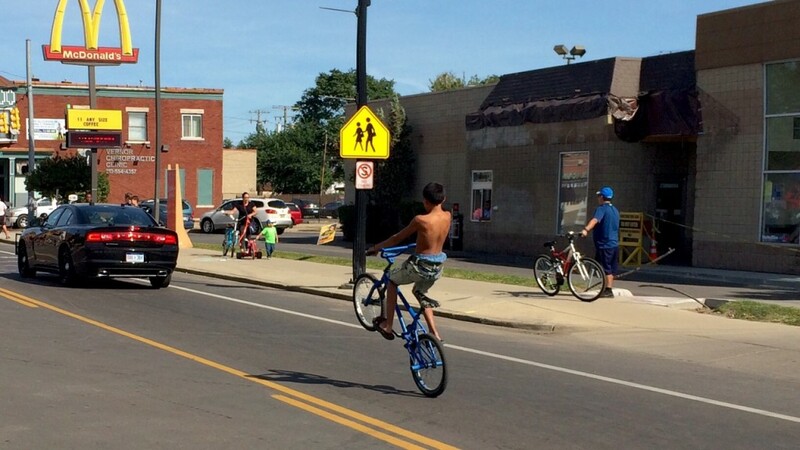 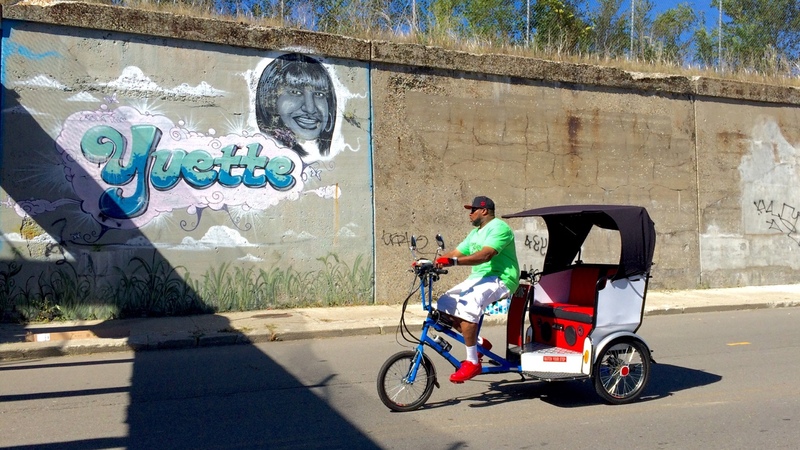 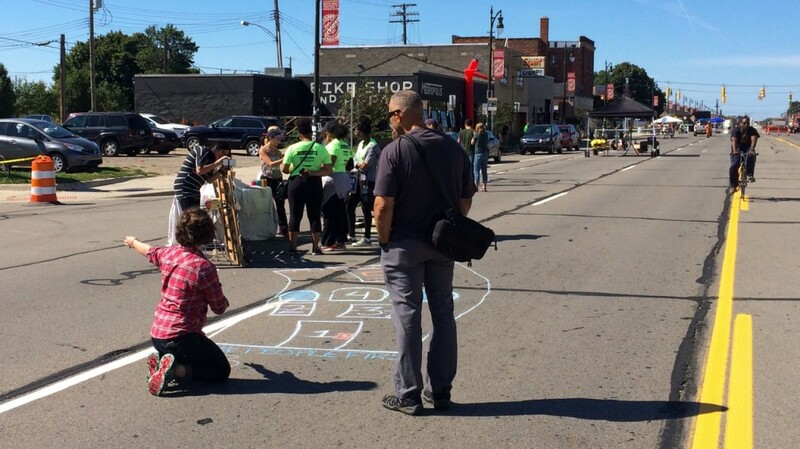 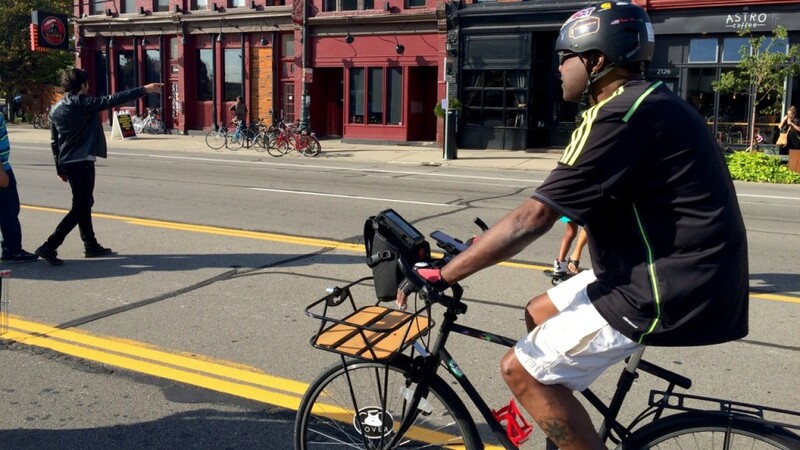 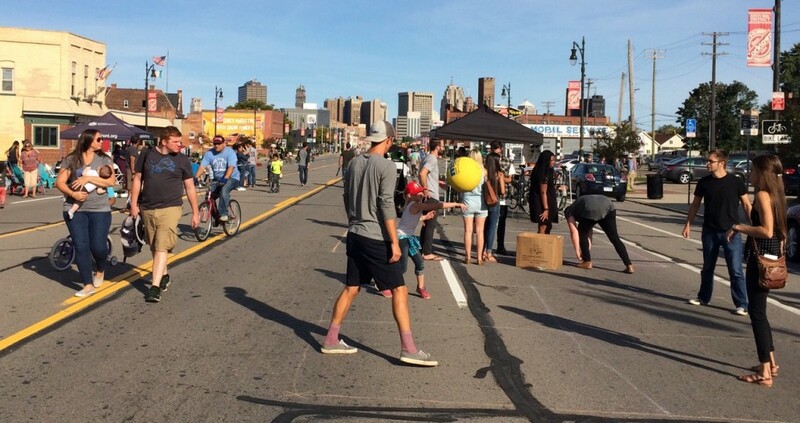 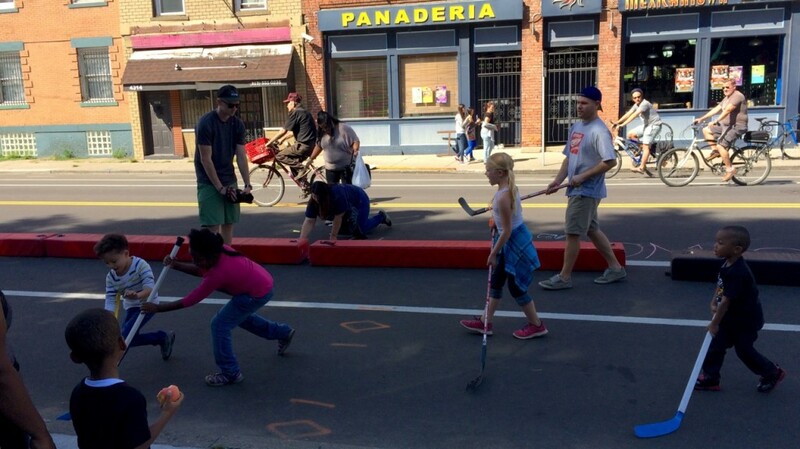 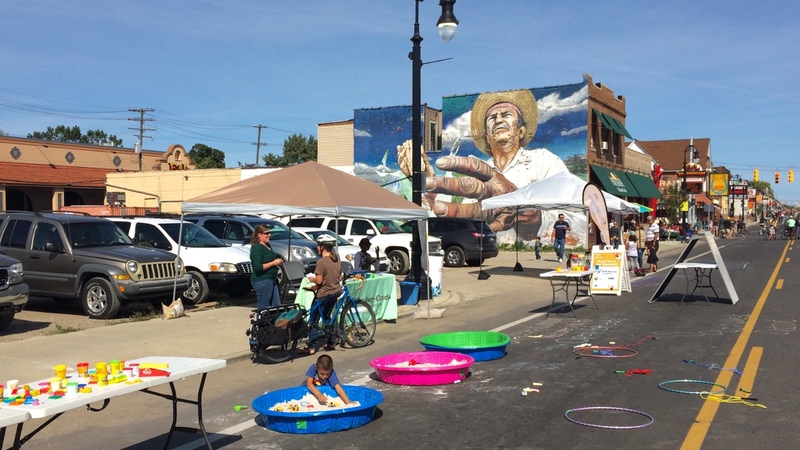 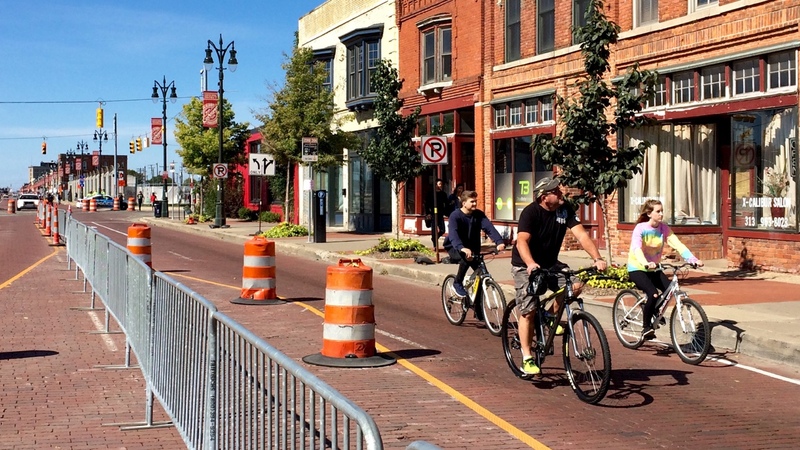 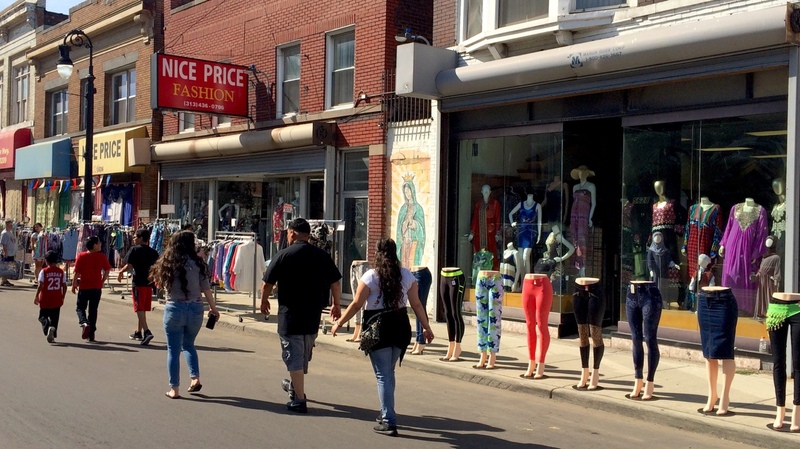 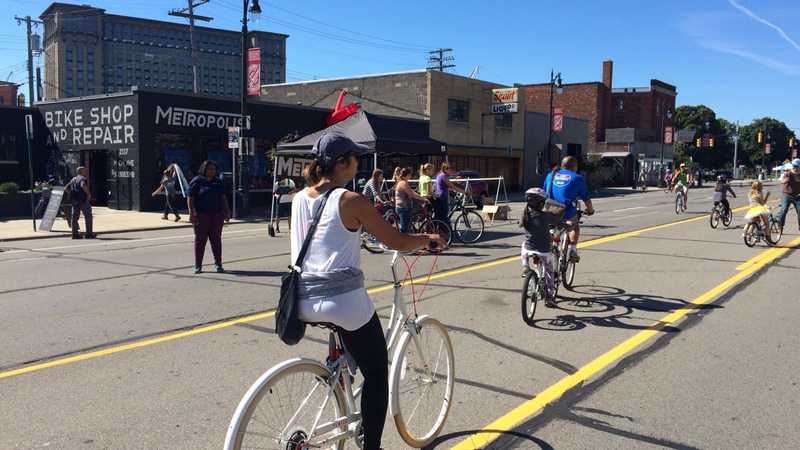 Judging from a wealth of positive media post-event, Open Streets Detroit was by far a success. 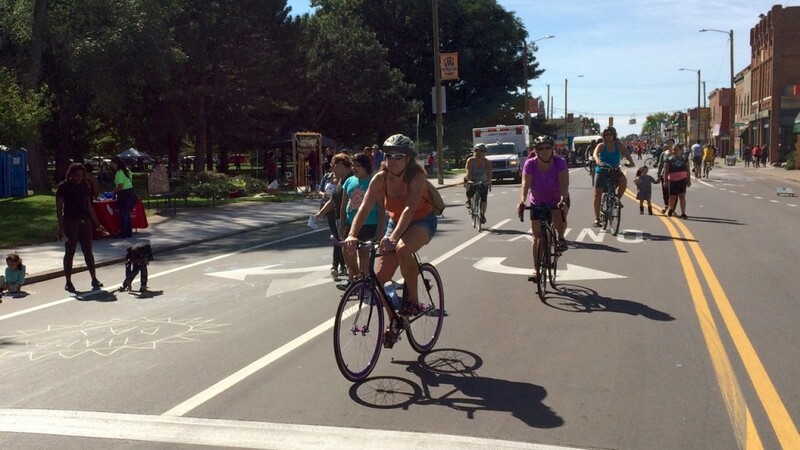 Here’s hoping the city continues to reclaim its roads for people as it works to rebrand itself as a cycling city. 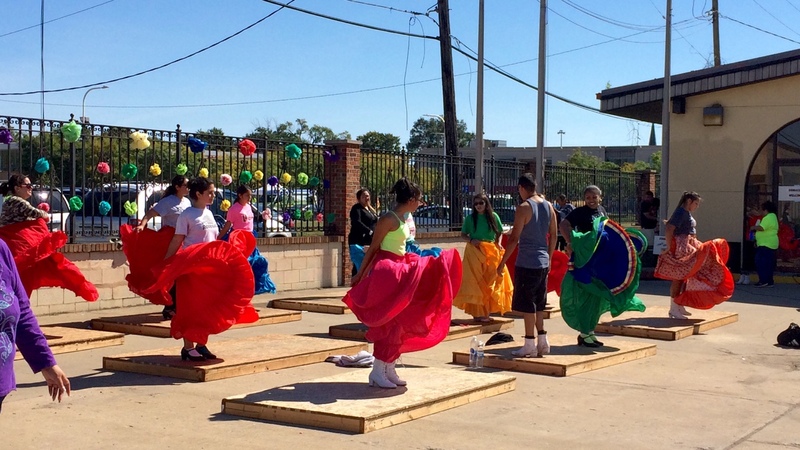 Be sure to make it out to the next round of fun on October 2nd, same time, same place.